Bollywood Movies Releasing on 14 July 2017 Friends, this weekend at box office. Hindi film upcoming this week friend 14/7/2017 details, wiki, trailer and video. In this article i am going to tell you about the movies which are going to release on 14th July 2017 at the box office. 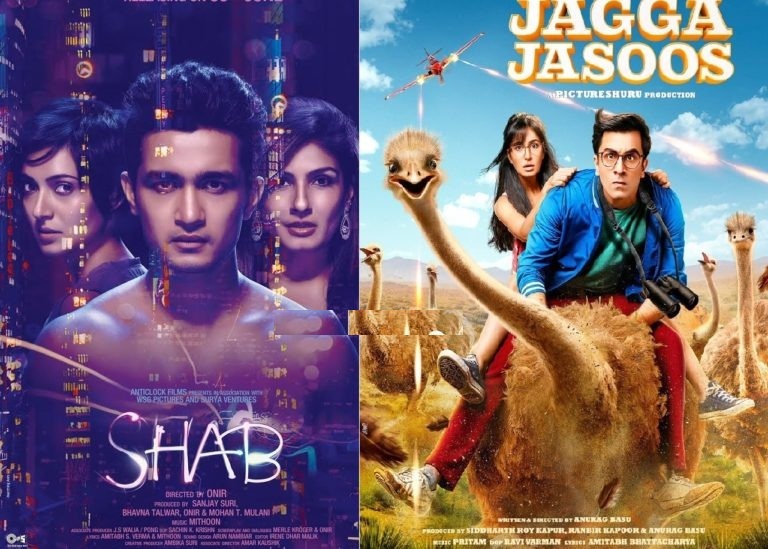 Every weekend Bollywood film makers release their movies and we always curious about which movie would hit on big screen this week. You will be very happy to know that your favorite actor Ranvir Kapoor most awaited movie is going to release this weekend at the Box Office. Last week we have watched Mom and Guest In London now, its time to watch the fresh movies. Ranvir Kapoor's Jagga Jasoos is most awaited movie and his fan will be happy to watch this movie on big screen. 1. Jagga Jasoos: the movie starring Ranbir Kapoor and Katrina Kaif in main lead role. The story of the movie is based on Indian adventure romantic and comedy movie. Katrina Kaif is back again after a long time. She was last seen in "Baar Baar Dekho movie". This film is directed by Anurag Basu, so you can excited a great drama in it. 2. Shab: one another movie is releasing this weekend starring Ravina Tandon, Ashish Bisht, Sanjay Suri and Arpita Chatterjee. I am sure you are amazed to hear the name "Ravina ". Yes she is back again on big screen her last film was "Bombay Velvet". Shab is directed by by Onir and produced by Sanjay Suri. These 2 movies will have a Box Office War and i will update later will movie won the box office Battle. I will update both movies box office collection later. And dont forget to share my article Bollywood Movies Releasing on 14 July 2017. And soon i will update 21st July upcoming movies.